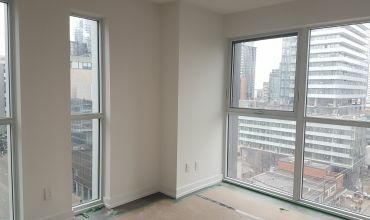 Menkes’ luxurious new tower at 87 Peter Street was the latest victim in online rental scams, with false ads for available suites popping up all over Craigslist. This week we’re sitting down with Kimberly Sears, Director of Condominium Rentals at Menkes, who will provide tips to help prospective renters avoid scam artists pretending to be condo owners renting their units. How can you tell if a unit is being listed for rent by a legitimate owner? 1. Request a recent City of Toronto Property tax bill and CEF condo (maintenance fee) statement and make sure names all match and check ID. 2. Visit City Hall and check the land registry database. 3. Reach out to the condo management company / property manager and/or builder to confirm ownership. While they can’t disclose confidential owner information, they can likely advise you if the information you have is correct, or whether the owner name you have appears listed as a purchaser in the building. 4. If it is a new/ pre-construction, visit the site to check on the status. If it looks like it’s still a construction zone, and moving date is set for two weeks away, something is likely off. What are some tips for protecting yourself against condo rental fraud? Buyer beware. If the rent / lease and inclusions look too good to be true, they likely are. Are they asking you proper screening questions or do they seem desperate for a deposit? How will you get the keys? Will they be meeting you? Is there an office you can visit? Use a licensed realtor through MLS. Due to strict regulations and legal protection, a realtor is a great way for first time renters to understand how the market works, and as the tenant, there is no cost to you. Another option is to stick to reputable companies. With a reputable company, ownership has already been confirmed and you have more recourse and resources should something go astray. If I’m a landlord, how can I ensure I secure the right tenant? Opt for professional management services from a reputable company, like Menkes Rental Suite Management. Yes, you could cut your own hair, or do your own taxes, but I assure you a hairdresser or accountant would do a better job. 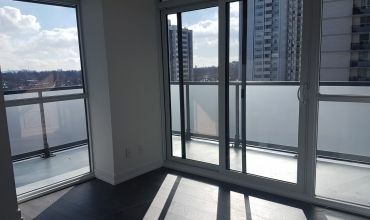 If you come across an ad for 87 Peter Street that you think may be fraudulent, please report it to info@menkescondorentals.com or call (416) 775-7500. If you have been a victim of fraud, contact your local police. For more resources on renting in Ontario, click here.